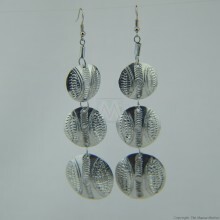 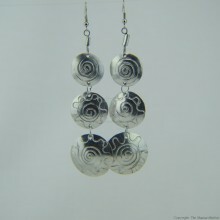 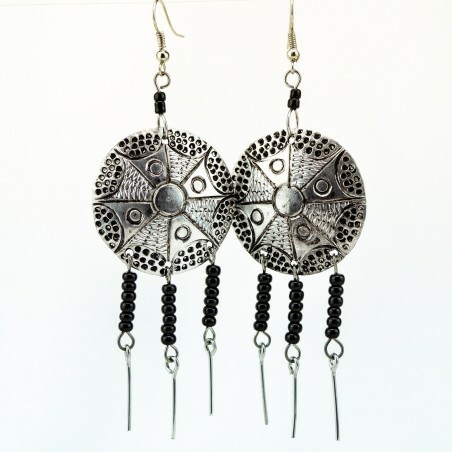 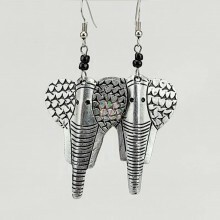 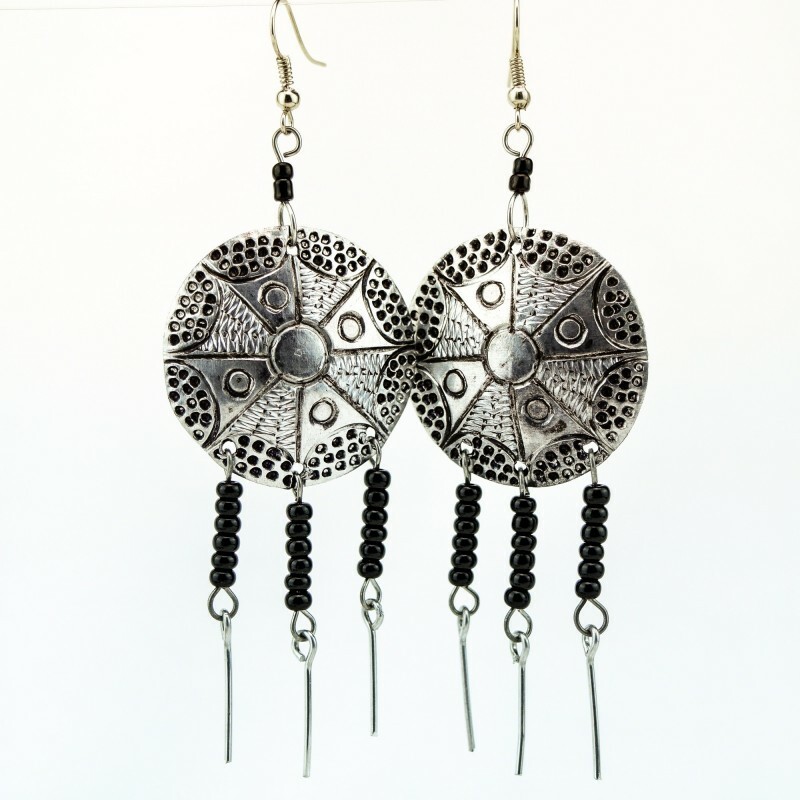 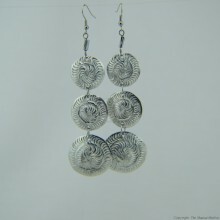 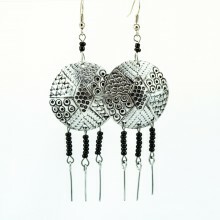 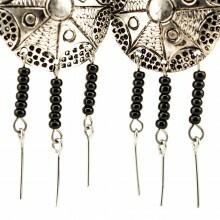 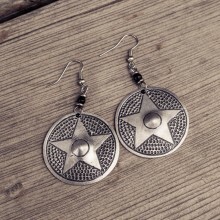 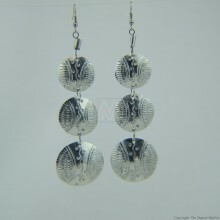 These gorgeous earrings are handmade out of recycled aluminium which is used to make sufurias (cooking pans) in Nairobi. 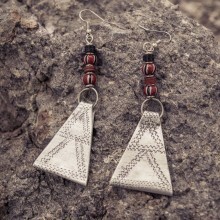 Each earring also has three strands of Maasai beads. 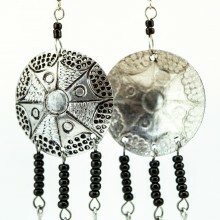 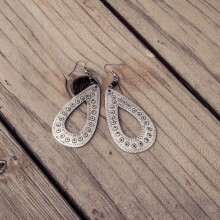 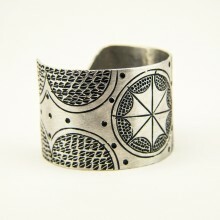 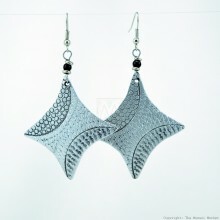 The Aluminium dangle is hammered and etched with the patterns all by hand. 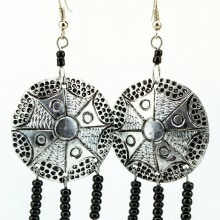 Each pair is unique so the one you will get might look slightly different but you will love it. 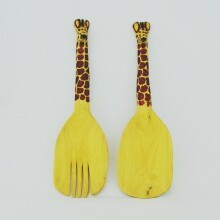 They are very light weight.